The target marketing e chart example drawn with the Edraw target marketing e chart software. With this easily customizable target marketing e chart template, users can represent any existing target marketing e chart. Target Marketing E Chart template can save many hours in creating great target marketing e chart by using built-in symbols right next to the canvas. 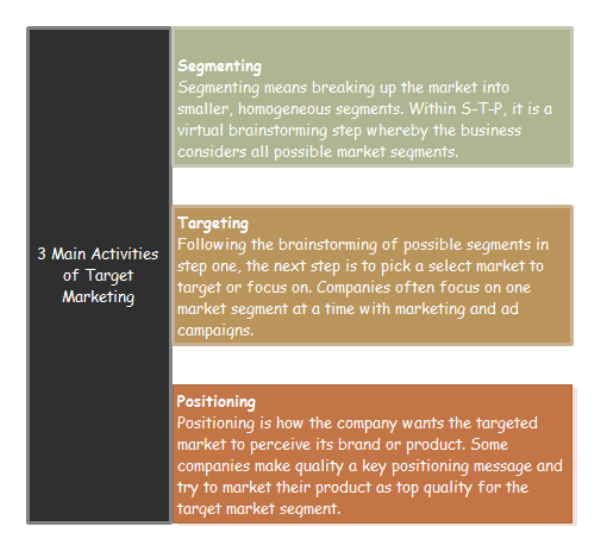 You can download and modify the target marketing e chart for your own use. Discover why Edraw is an excellent program to create target marketing e chart. Try Edraw FREE.